Location Lartington Cp. Deepdale Beck, Nabb Bridge. Record Name Lartington CP. Deepdale Beck. 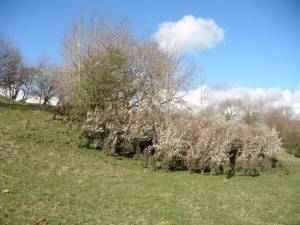 Blackthorn thicket above Nabb Bridge. Record Description Lartington,Deepdale, Nabb Bridge. 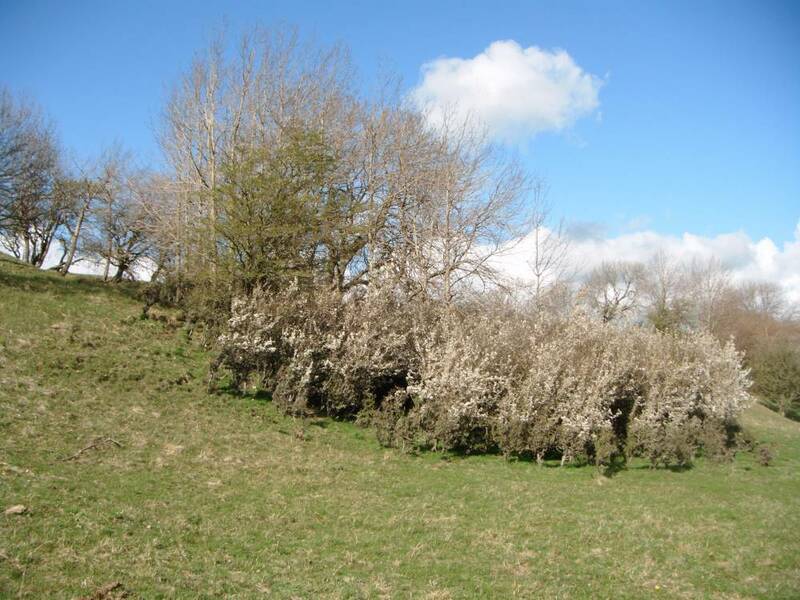 Blackthorn thicket. Best to see in blossom during April or in fruit November. 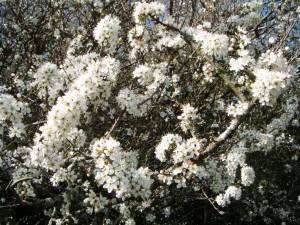 Additional Notes Blackthorn or sloe is a componant of species rich mixed deciduous ash wood on calcareous soils. 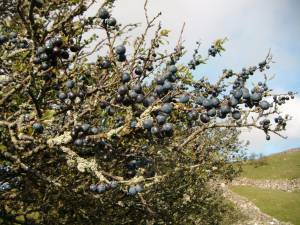 Blackthorn grows to 500m at Oxnop Scar in Swaledale. 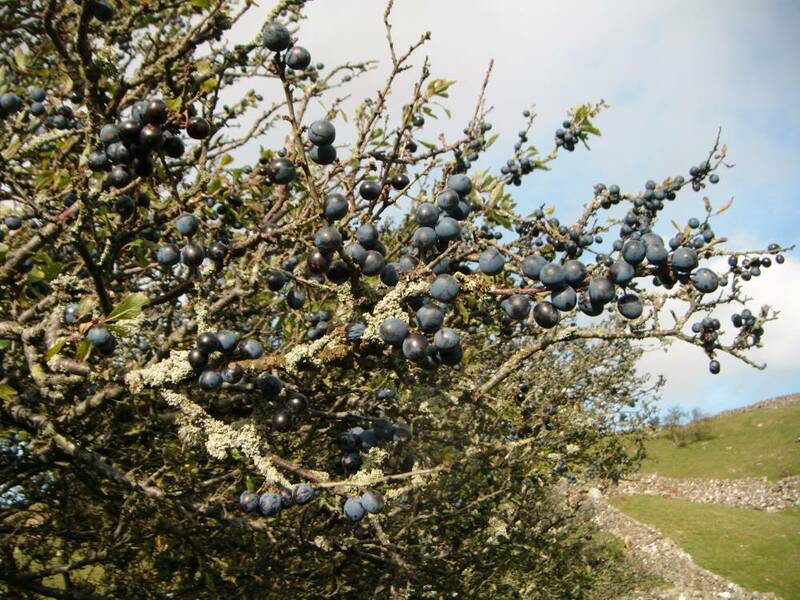 A recipe for Sloe Gin: Take a 1 litre bottle of low price gin. After first frost in early November, pick about 1kg of sloes. After your walk to collect the sloes Have a couple of G&T's (125ml) at or after 6.00pm, then: 1. Empty 375ml of the gin into a clean screw top wine bottle 2. Top up the half empty bottle of gin with the pricked sloes and a wine glass of sugar and 3. Top up the half empty wine bottle which is also half full of gin with pricked sloes. Shake up the bottles once a day for a week and once a week until Christmas. Keep 1 bottle for emergency use in the field. Image 1 Description Blackthorn thicket with aspens. Image 2 Description Blackthorn in April, detail.